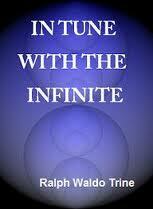 In Tune With the Infinite is one of the best motivational books ever written. Over two million copies of this book have sold worldwide and it continues to get rave reviews from readers about its timeless message of inspiration and success. Many consider this to be one of the inspirational works that led to Napoleon Hill's classic, Think and Grow Rich. See for yourself what millions of others have found so rewarding-it may change your life as well.